So has communication really taken place? 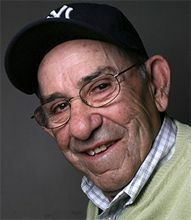 Years ago, I heard Brent Musburger tell a Yogi Berra story on his radio program. Like so many Yogi stories, it sounds thoroughly apocryphal. But it just could have happened. As Yogi himself once said, "I don't mean to be funny. Them sayings, they just 'come out.' I don't even know I said 'em! I really don't." As the story goes, Yogi was burning leaves in his yard on a beautiful autumn day. The wind suddenly picked up, and it was getting harder to get the fire line under control. The flames got a bit more aggressive still and headed toward a storage shed on the property. So he ran in to call the fire department for help. "Hurry!" Yogi shouted into the phone. "I got a fire over here that's gettin' outa control." It was well before the days of Caller ID and GPS directions, so the dispatcher asked, "How do we get to your house, sir?" There was a brief pause. Then Yogi answered, "You still got them red trucks, ain't you?" Somebody heard something that never was said! Does that conversation sound like some you've had with your employees? The late Peter Drucker used to make the claim that fully 60 percent of all management problems result from faulty communication. It is worth a little extra time to make sure the goals and methods are clear. Encourage questions. Go at the same topic from another angle. Time "wasted" on the front end by talking things through very carefully could well be saved by not having to start over. Maybe you've seen it happen in your church. Somebody heard something that never was said — or said something that was heard all wrong. Friendships were undermined. Ministries were crippled. Churches have split. Or perhaps it happened at home between you and your wife or between the two of you and your teenager. Failure to communicate quickly builds a wall. It creates feelings of isolation and loneliness. It can lead to relationship disasters. When it seems to be happening between us, my wife or I will sometimes look at the other and grin. "Red trucks!" one of us will say. It calls a time out, warns us to be sure we are being clear, and to listen more carefully. "The single biggest problem with communication," said a cryptic George Bernard Shaw, "is the illusion that it has taken place." 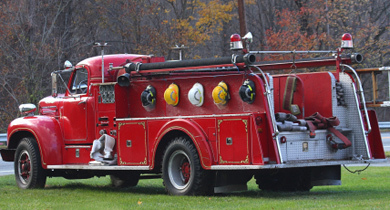 Keep an eye out for red trucks this week. Understand this, my dear brothers and sisters: You must all be quick to listen, slow to speak, and slow to get angry (James 1:19 NLT). © Used by permission. From Rubel Shelly's "FAX of Life" printed each Tuesday. See Faith Matters for previous issues of the "FAX of Life." "The Communication Illusion" by Rubel Shelly is licensed under a Creative Commons License. Heartlight encourages you to share this material with others in church bulletins, personal emails, and other non-commercial uses. Please see our Usage Guidelines for more information.